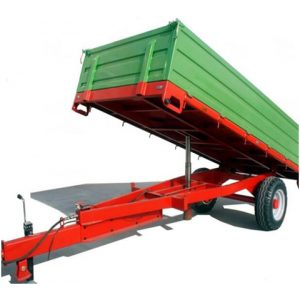 Are you looking for a trailer made especially for tipping extra heavy loads? This robust and versatile hydraulic tipping trailer has been built to handle the big stuff and come with 12 months Warranty. 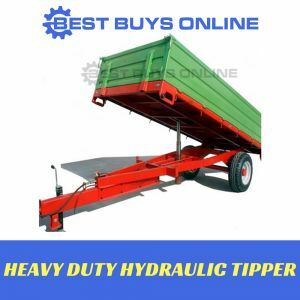 DURABILITY: This high quality 1.5 TON HEAVY DUTY HYDRAULIC TIPPER is constructed of heavy duty steel which has an e-coating for rust-resistance and a powder coat finish with UV protection. RELIABLE & EASY TO USE: With an easy assembly design, this tipping trailer has been constructed with safety in mind (it comes with a safety hand brake). It features a hydraulic tipping mechanism with cylinder controlled for easy sliding down and being dumped easily or heavy lifting. Best of all, with pneumatic tyres and a 3 point linkage, this tipper can be towed around your property on the back of your tractor.